It was worse. Just a giant pile of sad, right before your eyes. 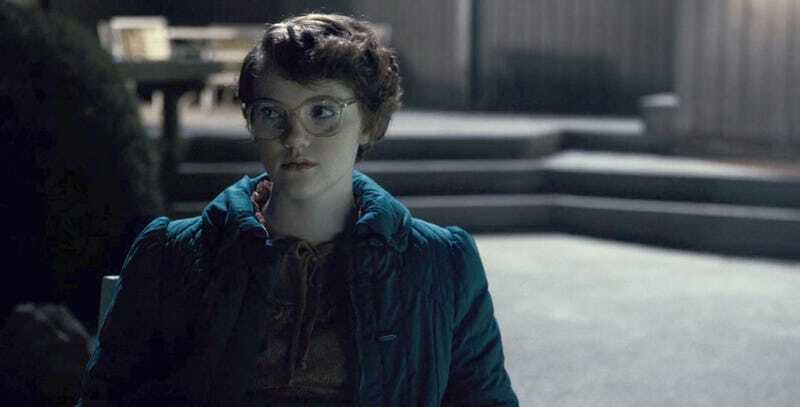 Aaron Sims Creative did a lot of concept art for Stranger Things, and one thing the artists there came up with was a version of Barb’s death that was even more depressing than the one we actually got. And, oh, did it get even worse for poor Barb. Why is something crawling out of her mouth? Because, according to Sims, “In the script for that episode, there was specifically a description of a spider coming out of her mouth, which we incorporated into the design of that second shot.” He went on to say there’s no explanation, just what was in the script. We disagree. This is very clearly a dead Barb. And it bums us out. Here’s hoping season two realize does bring some justice.